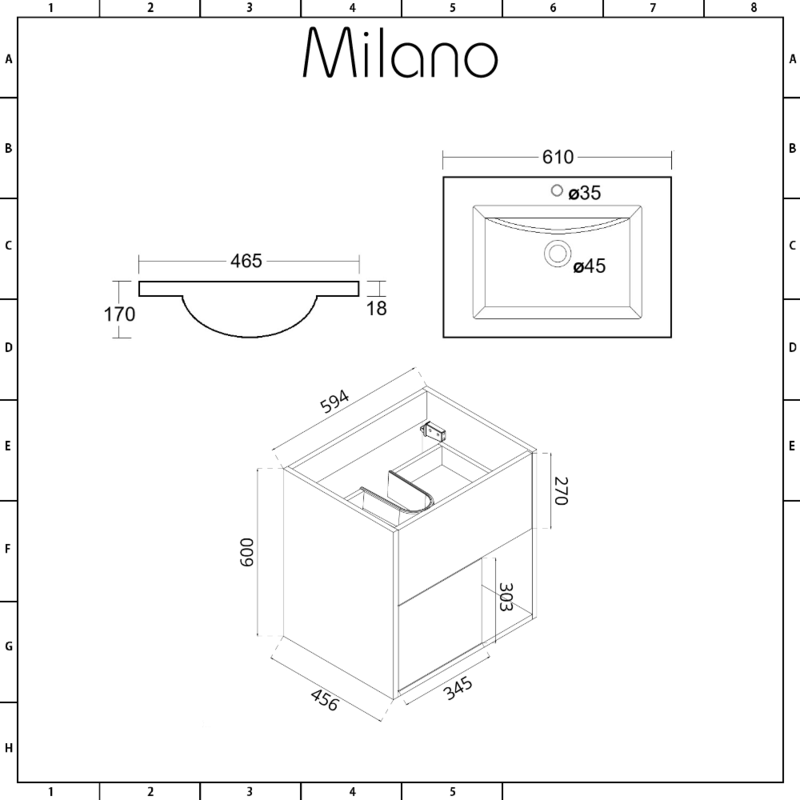 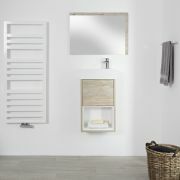 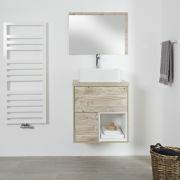 Smarten up your bathroom and create a contemporary look with the wall-mounted Milano Bexley 600mm vanity unit and basin. 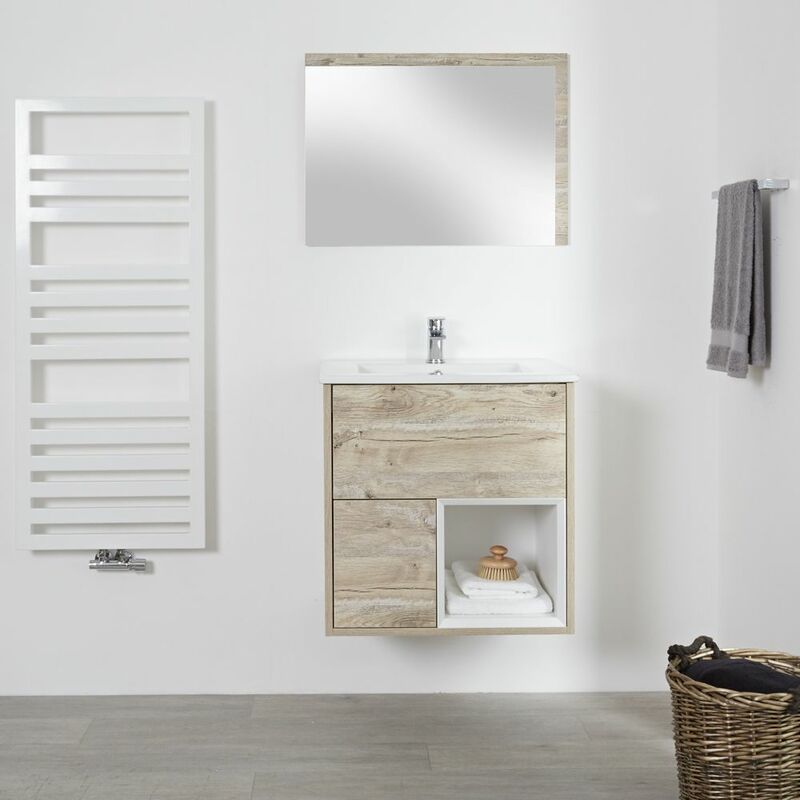 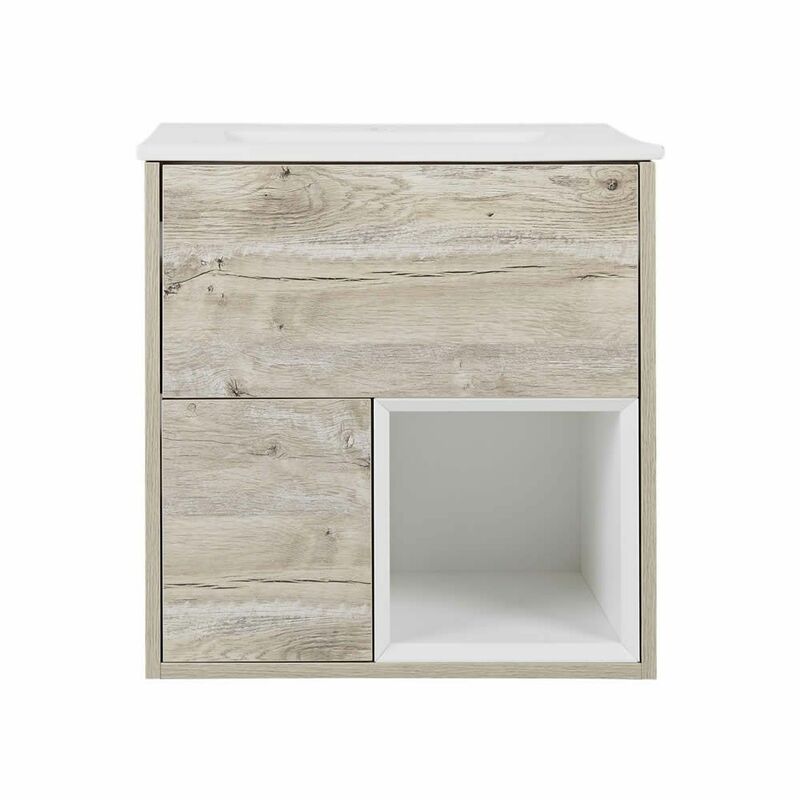 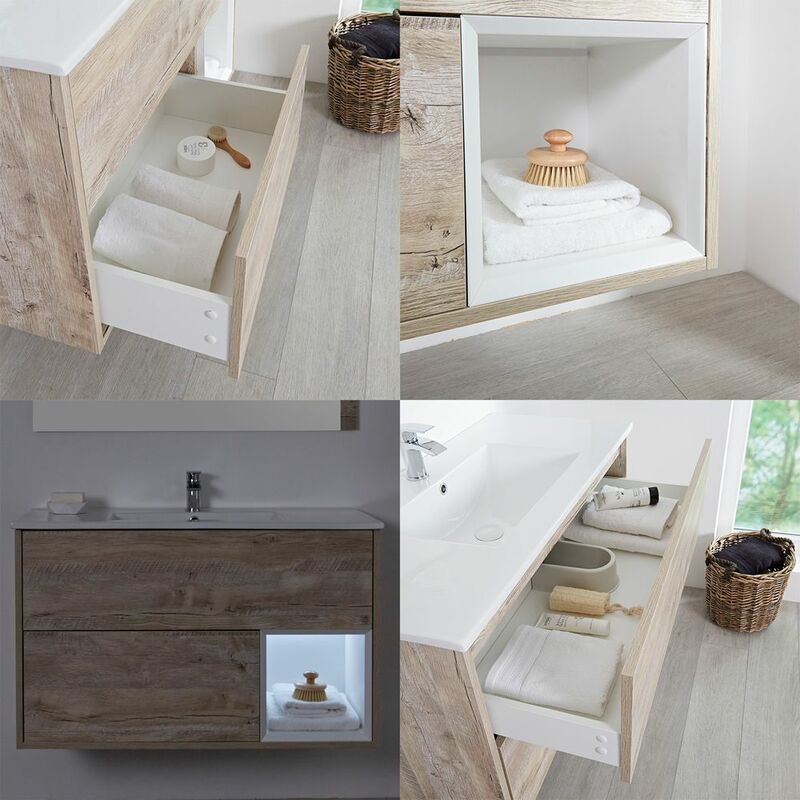 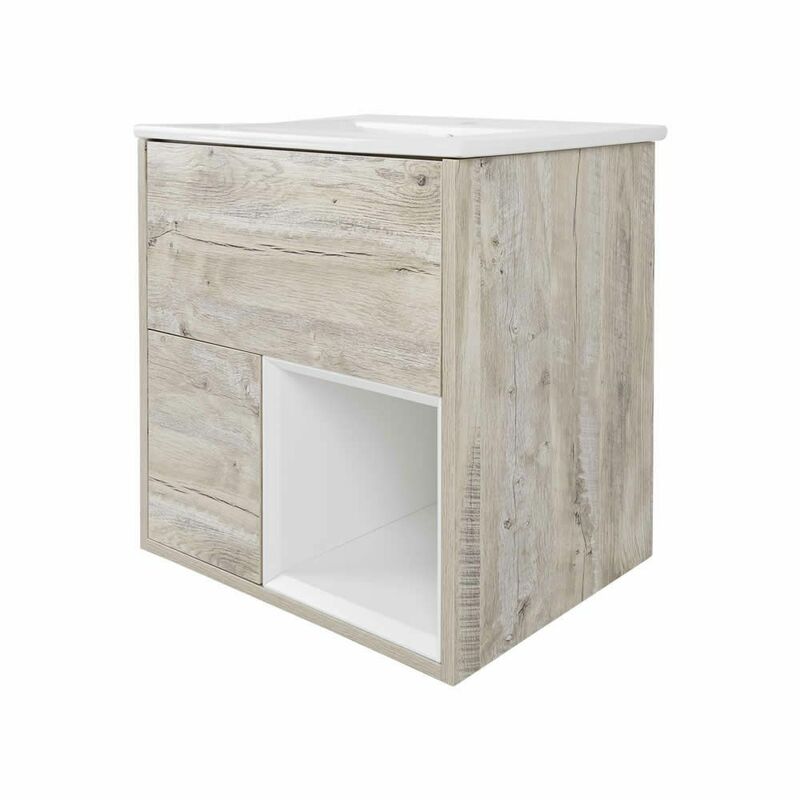 Manufactured from a hard-wearing moisture resistant engineered wood and finished in an eye-catching light oak woodgrain effect, the Bexley vanity unit includes two push to open soft close drawers and an open shelf to provide plenty of storage for toiletries. 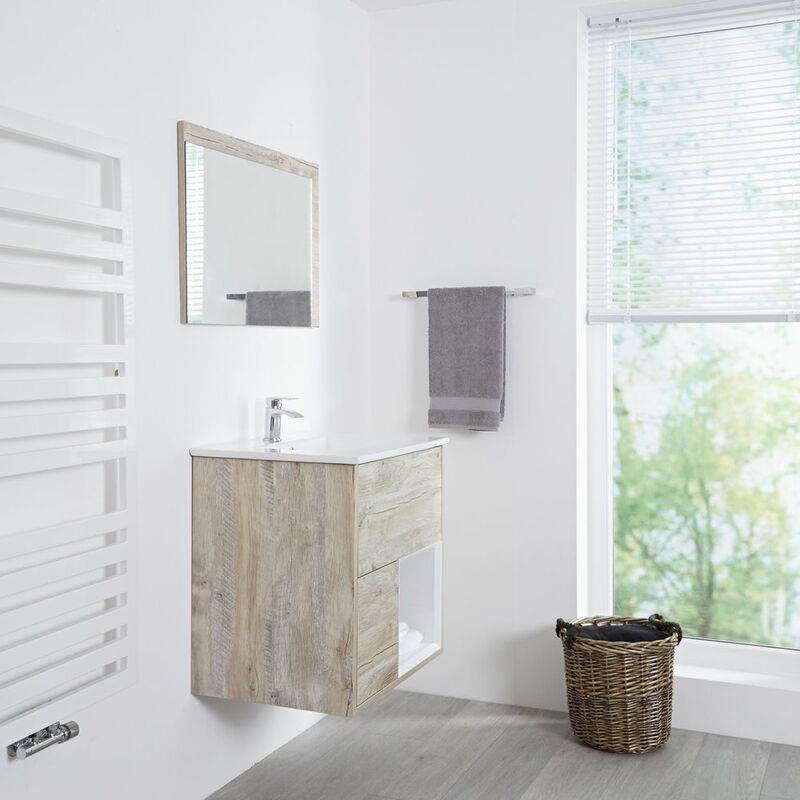 The solid construction means that it has the long-lasting durability to withstand the rigours of everyday use in the bathroom environment. 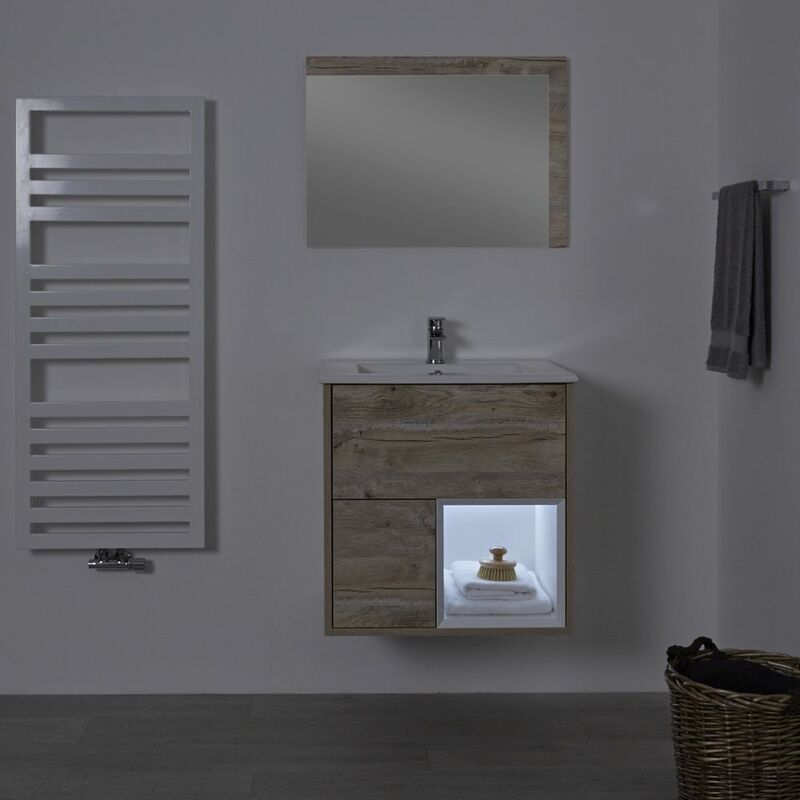 The Bexley vanity unit includes a high quality ceramic basin with an easy to clean white glaze finish fitted with a single tap-hole, allowing you the chance to accentuate the final look with a mono tap from our range.